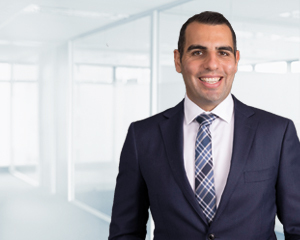 Based in Sydney, Robert Tayoun sees his relationship with clients in both Sydney and Brisbane as a long-term one and is dedicated to providing prompt attention to their queries and is proactive in providing everything they need to make informed decisions about their investments. Combining a passion for investing with a natural ability for client service, Robert provides investment advice that is in line with the recommendations of the Investment Committee and clients’ individual goals and risk profile. “It’s important for me to build trust with clients, earn their respect and understand their personal circumstances,” Robert says. According to Robert, the global financial crisis has made investors more aware of the need to have a proactive approach to their investments and understand what they’re invested in and the risks involved. “Investors have a better appreciation of the benefits of having professional investment advice to help them develop a portfolio that meets their needs and appetite for risk,” he says. Robert is particularly interested in the fixed income space, which he says is an important foundation for preserving capital and generating a regular income in the portfolio, particularly for clients moving into retirement. He is also interested in opportunities arising from non-traditional asset classes such as emerging markets and private equities. Before joining Dixon Advisory, Robert worked with Colonial First State where he held positions in institutional funds management, providing client services, and the Australian equities division, managing $1.2 billion in funds. Robert has a Masters of Applied Finance majoring in Financial Planning and a Bachelor of Commerce from the University of Wollongong and is a Certified Financial Planner (CFP®).